Despite high vaccine coverage in many developed countries, pertussis – otherwise known as whooping cough – has made a comeback in recent years. The condition accounts for nearly 200,000 infant deaths each year, with rates increasing steadily since the 1970s. While past research has placed blame for the disease’s resurgence on flaws in the current generation of vaccines, a new study suggests that the real reason is that we’ve reached the “end of the honeymoon” stage when it comes to immune protection. Senior author Pejman Rohani explains that the vaccine that was first administered decades ago has left current generations exposed. 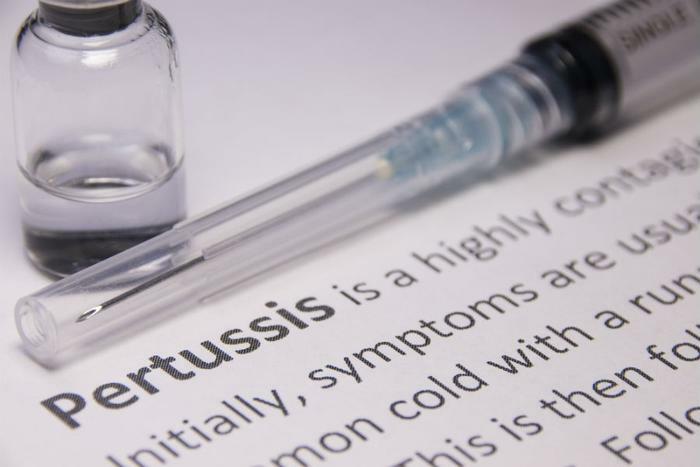 "This study is important in that it revealed that there has been no change to the epidemiology of pertussis that is causing the rise in the number of cases," Rohani said. "Instead, it is a function of the way vaccines were administered over the decades. It is an effect that takes a long time to manifest." Routine vaccinations for pertussis began in the 1940s, and the immediate impact was a drastic decrease in cases of the condition. Even consumers who weren’t vaccinated became far less prone to contracting it because of the overall decreased rate of transmission. However, the researchers explain that shortcomings in that first vaccine have led to slowly degrading immunity rates among consumers -- a fact that has left current consumers with inadequate resistance to the disease. This finding stands apart from other arguments in the scientific community that places the blame on current vaccinations. Although adults are at risk of contracting pertussis, the study reaffirms that young children are the primary group affected by the condition. The researchers recommend that this group – and especially vulnerable children – be targeted with additional treatments to reduce the overall number of sicknesses. “Efforts aimed at curtailing transmission in the population at large…are more likely to succeed if targeted at schoolchildren, rather than adults,” the researchers said.